Again, it still fits perfectly in the palm of one hand! It will be hard to find another phone that will give you such a big screen! 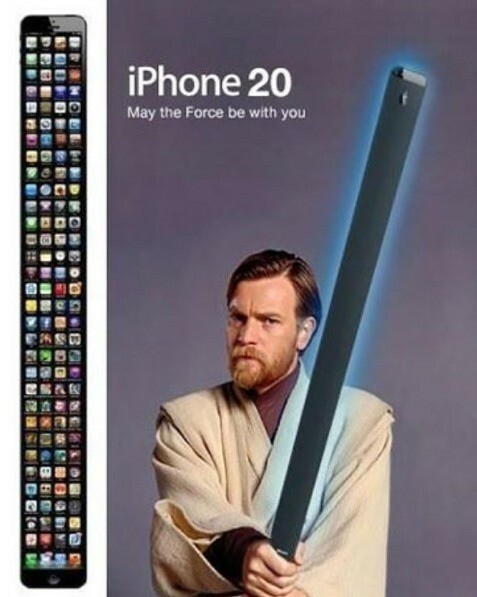 May the force be with us and the iPhone 20. Don't forget to share, like and follow our site Limerain on Twitter, Facebook, or RSS to be notified of any updates. I leave the credits out to the web, this image was shared with me in a txt message and I'm not aware of its creator.